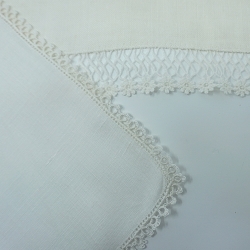 Here's a curious little grouping of white linen. 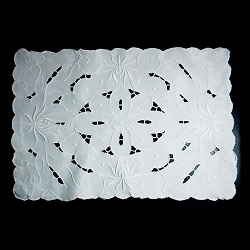 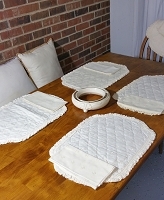 There are 3 placemats with a "B" monogrammed in the corner, plus another piece that's likely a dish cloth or could be used to line a bread bowl. 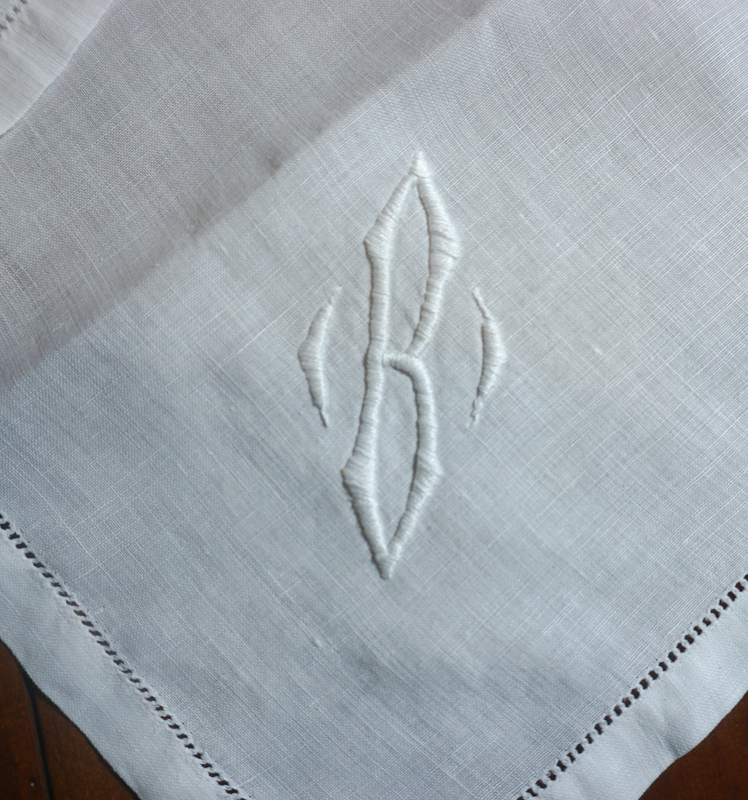 There are also 4 coordinating napkins (no monogram). 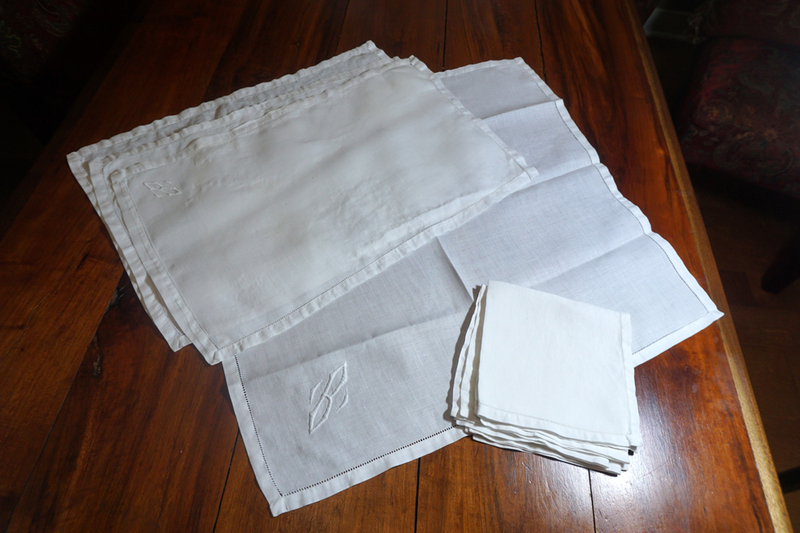 It's an odd lot but perfect to set a table for 3.